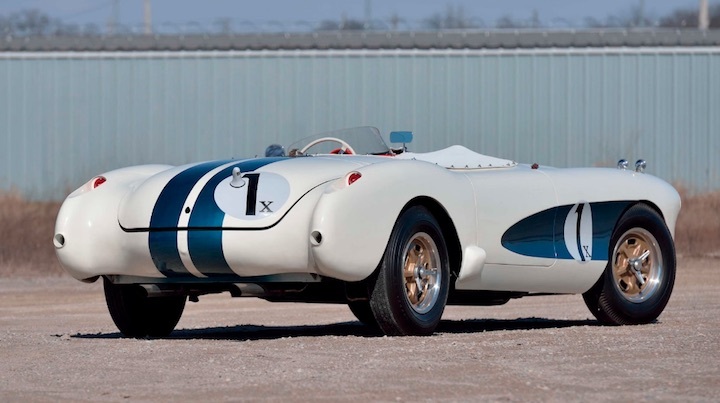 Most of us will never be able to afford the actual ‘Real McCoy’ – the C1 Corvette that finished ninth overall at the 1956 12 Hours of Sebring, but thankfully, there are many high-quality replicas of this piece of early General Motors motorsports history. One of these Real McCoy replica cars will soon be sold at Mecum’s Indy 2019 sale in May. The replica looks fairly accurate and features period-correct, race-ready parts like a dual 4-barrel 265 cu. in. V8, a four-speed manual transmission, heavy duty front coil springs, a quicker steering rack and halibrand pin-drive wheels. The Real McCoy’s polo white and blue livery and red interior have also been well recreated. Other details on this Real McCoy replica, such as who it was built by, the chassis and engine history/mileage and what it may sell for, are not immediately available. It will cross the auction block when Mecum’s Indy sale kicks off on May 14th. 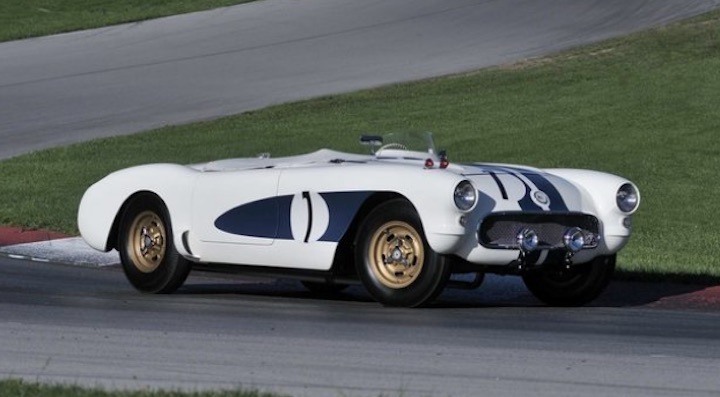 If you’re curious, the actual Real McCoy Corvette finished ninth overall at the 1956 12 Hours of Sebring and was built by Corvette chief engineer at the time, Zora Arkus Duntov, to elevate the Corvette brand and increase sales. It featured a specially prepared 307 cu. in. V8 with Carter 4-barrel carbs and a special ‘Duntov cam’, along with a number of other racing upgrades including four-speed ZF transmission, which was the first 4-speed manual ever fitted to a Corvette. Legendary GM mechanic Smokey Yunick prepared the car for Sebring, in addition to two other GM-backed Corvettes. The Real McCoy finished first in class and ninth overall, which was considered a huge success for GM and the Corvette team, both of which had limited experience in motorsports and endurance racing in particular. 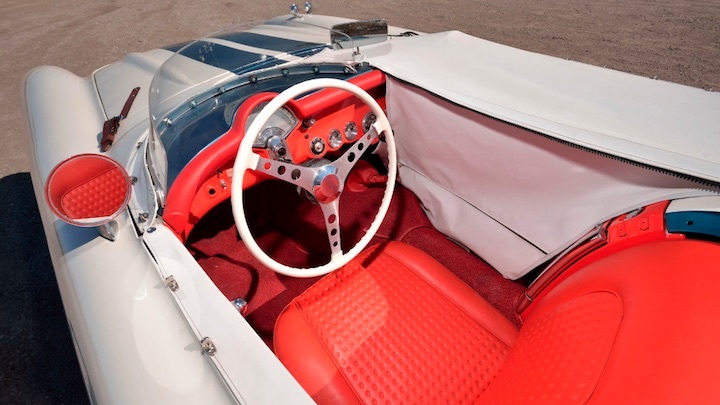 Check out the lot listing for this 1956 C1 Corvette Real McCoy replica at this link for addition information and photos.